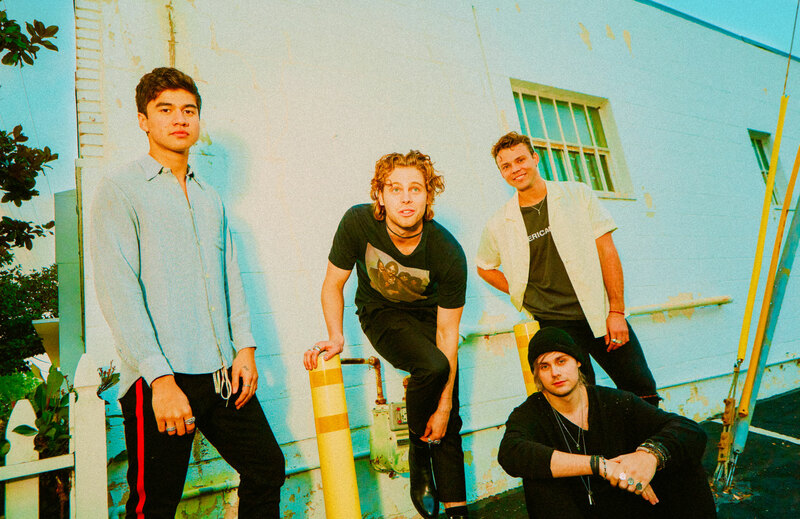 After a lengthy stay at No.1 on the ARIA singles chart, the 5SOS ‘Youngblood’ video has finally seen the light. But that’s not all… the boys have also confirmed a very special pop-up store coming to Sydney next week. “There are many wonderful, interesting, and captivating subcultures all over the world,” Ashton explains. “In every corner of this earth there are groups of inventors, visionaries, thrill seekers, and boundary pushers. These wonderful worlds that people have created, spread, and effect everyone that comes into contact with them. “The Japanese Rockabilly culture is that of a renaissance and a beautiful flare of passion for everything old and new and that makes this particular subculture so interesting and amazing to us. Now for news of that pop-up. With the boys’ ‘Meet You There’ Australian tour kicking off this Thursday, they’ve announced a very special one-day-only pop-up store will take over 238 Oxford Street in Paddington, also this Thursday. Open from 11am, the store will feature exclusive merchandise to commemorate the kick-off of the band’s tour. According to their label EMI, it’s open ’til “late”.